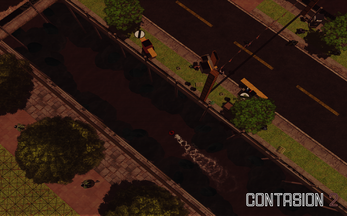 CONTASION 2 is an extensive, diverse open world action-adventure game rendered in a top-down perspective. Prepare for a memorable experience; the game boasts over 50 unique, player-controlled vehicles, including; supercars, saloons, boats and more. Cruise through the City Of Pliston as you tear up the ground in a sports car, designed by the finest Pliston Engineers. Explore the fictional city based in North England, with over 11 lethal weapons ranging from AA-12's, 9mm's, M4's, M16's, RPG-7's and more. There's also a torrent of activities to participate in, both in online and in single player. Join in on the fun, hang out at some of the most iconic areas in the city with your peers such as the Imperial; a pub where you can snack on the finest bag of British Crisps. Kick back and relax in Pliston and catch fish; cruise along the coastline and avoid the sharks. Or you can try your luck at one of the many Lotto shops scattered around the city. 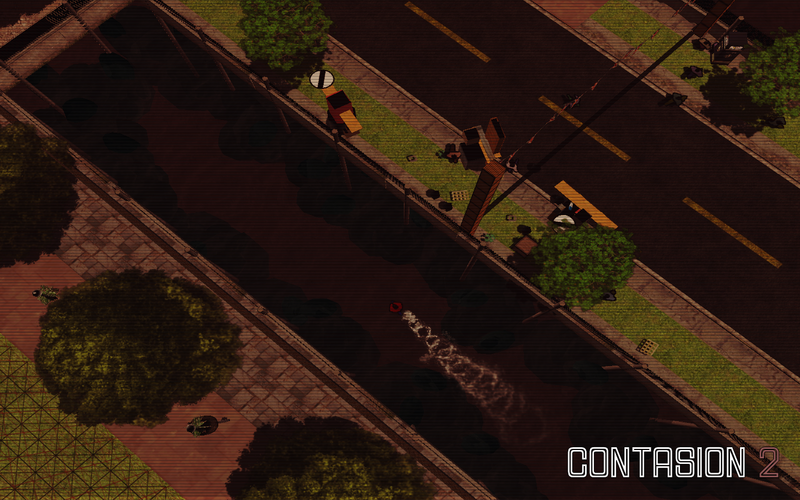 Featuring a massive, richly detailed city rendered entirely in 3D - the game puts YOU in control. Every sprite was once a 3D model, proving the graphics are rich and coherent. 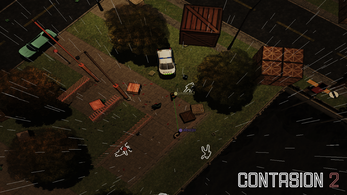 CONTASION 2 features a variation of content which is exclusive to both Online and Single Player. There are certain aspects around the city which peak ultimate curiosity, if you're tired of being on land all the time, descend the ladder which protrudes into the open waters where you can swim to another part of the lavishly detailed city. 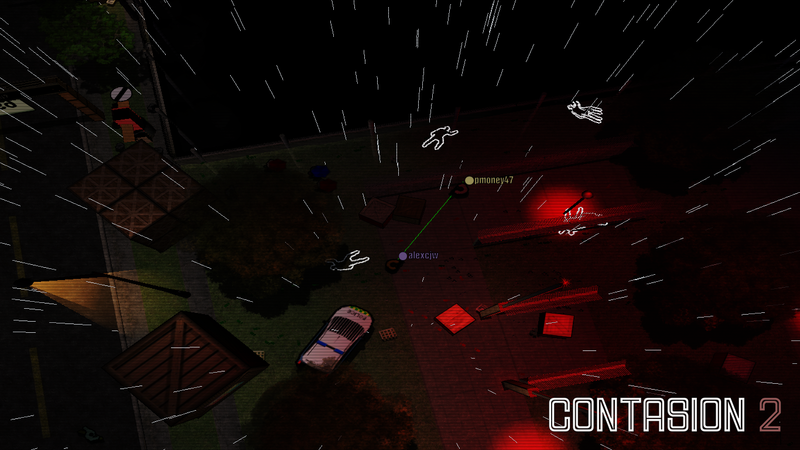 Fire RPG-7 rockets at police and bystanders as you carve your way through the "cesspit of a city", creating carnage along the way... But there's still much you can do; in Single Player you control the main character named Jordan, a small criminal trying to survive in the City of Pliston, being dragged into the underground of the city by his former classmate Carlton, a loaded Shylock looking for workers in an attempt to "run the city", destroying their prayers valuables, blowing up houses, planes and vehicles. But what happens when you create so much carnage? Police helicopters, cop cars and coppers attempt to run you down or arrest you, so they can protect the already damaged people of Pliston. As you speed at 80 MPH down the streets, getting snapped by speed cameras, you can kill anyone and destroy anything when you pull out your AK-47 and participate in drive-by shootings, increasing Jordan's warrant and jail time. 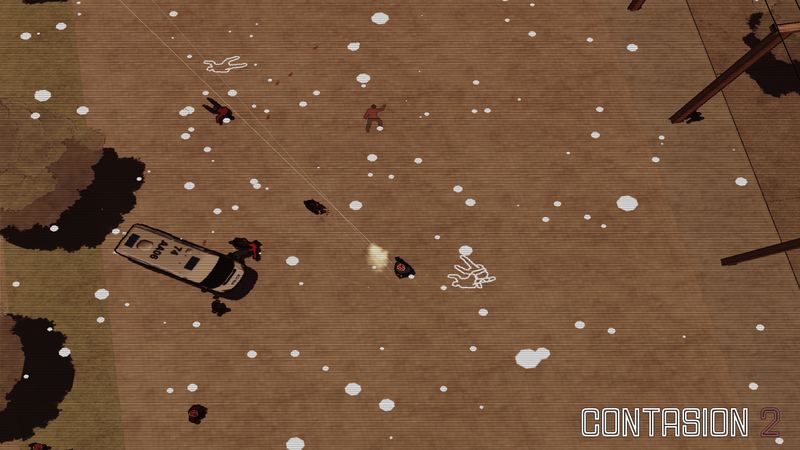 Pick up an explosive AA-12 and vandalize the streets, destroy your neighbour's vehicles or protect yourself against the cops with a huge range and power, or if you're looking for something more explosive, collect an RPG-7 and destroy almost anything in a flash. When committing a crime, your jail time and bail price will get progressively worse. Upon dying, you will be BUSTED and forced to spend the night in a jail cell, rotting with your fellow peers in both Online and Single Player. You can attempt to escape prison, but that will only result in a more consequential punishment. When playing Online, you can play with up to 24 people from around the world. 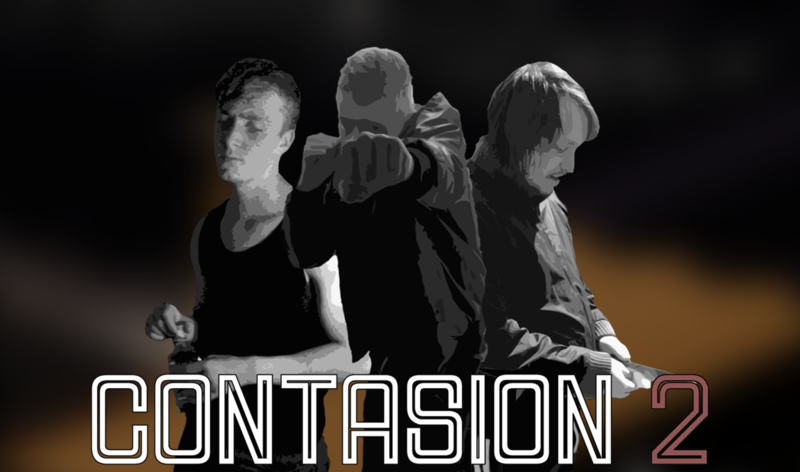 Certain content is created monthly to ensure players get the best experience in Pliston. What you choose to do in Online is up to you, with no restrictions. LAN parties are also available if you're not feeling the vibe to go Online. 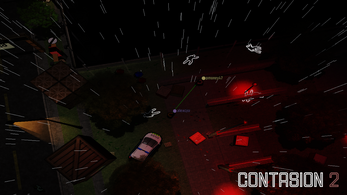 CONTASION 2 also features seasonal events; the city will change dynamically in certain real life months. 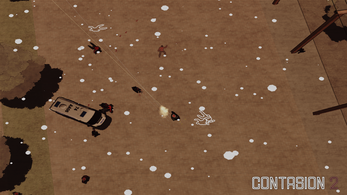 When it hits late December, the game will start to snow; unlocking more features as Christmas Trees will make an appearance at every street corner - giving the player the ability to interact with it, earning the player gifts and treats. 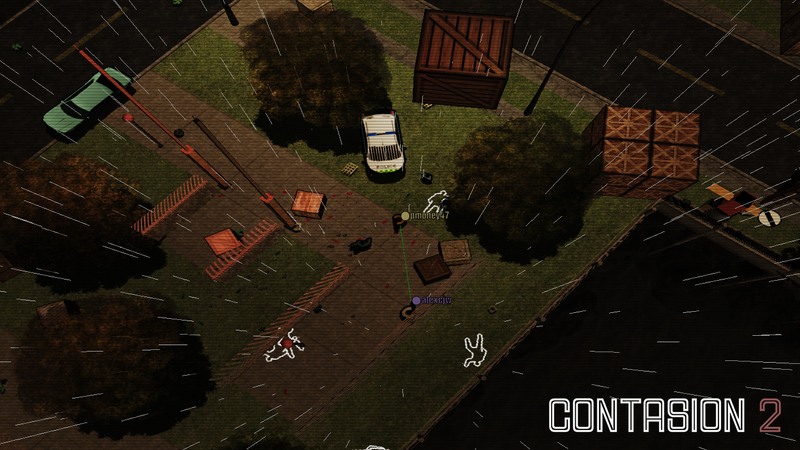 During late October when Halloween strikes, the game will be stuck at midnight, with a dark setting, dim-lit lights, alight pumpkins everywhere, streetlights have been turned off, natural instances such as rain and trees have disappeared; giving the player a spooky feeling. There are number of Easter Eggs in the city, with certain ones activated only when a seasonal event hits. What will you experience in Pliston?